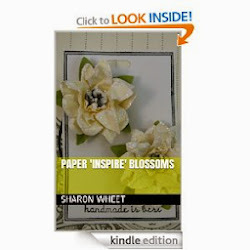 There are two fantastic reasons for me to craft: a gift for someone, or a 'gift' for myself. This is for the first reason. I altered a 6 well photo tray for a class this past month. The wells are roughly 4" x 6" each. Thats a large space to alter and work with. I have found a photo tray that has 12 wells and each well measures close to an ATC. So, it forces you to express your creativity in a smaller space. Sometimes the challenge is liberating. So, my daughter's favorite holiday is Halloween. Wow, huh? (Mine is St. Valentine's Day.) So, I picked up a few Halloween themed papers. And, collected my stamps and let the creativity flow. I haven't finished the photo tray, but I have completed 9 of the 12 wells. These are my all-time favorites. 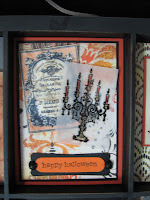 1st image: The candelabra stamp is from Stampin' Up! - Dark & Dreary. I heat embossed it onto a scrap piece of vellum card stock and used my SU! markers to 'color' it. The orange 'tag' is actually a french perfume label that has been downsized and printed on cardstock, and then 'aged'. The 'happy halloween' is a Stampin' Up! stamp - Teeny Tiny Wishes. 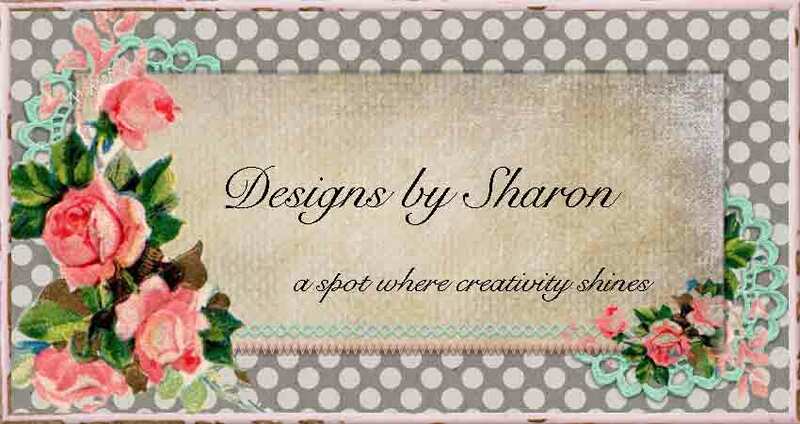 I used both the word window and label punches from Stampin' Up! 2nd image: The bird and oval 'label' are both from Stampin' Up! sets. The bird stamp is from a retired stamp set. The oval is from the Artistic Etchings set. The ribbon is Dusty Durango (retired) Stampin' Up! 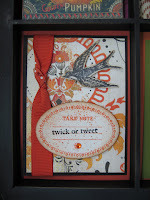 The 'trick or tweet' is from a retired Stampin' Up! set. Pretty cute, huh? 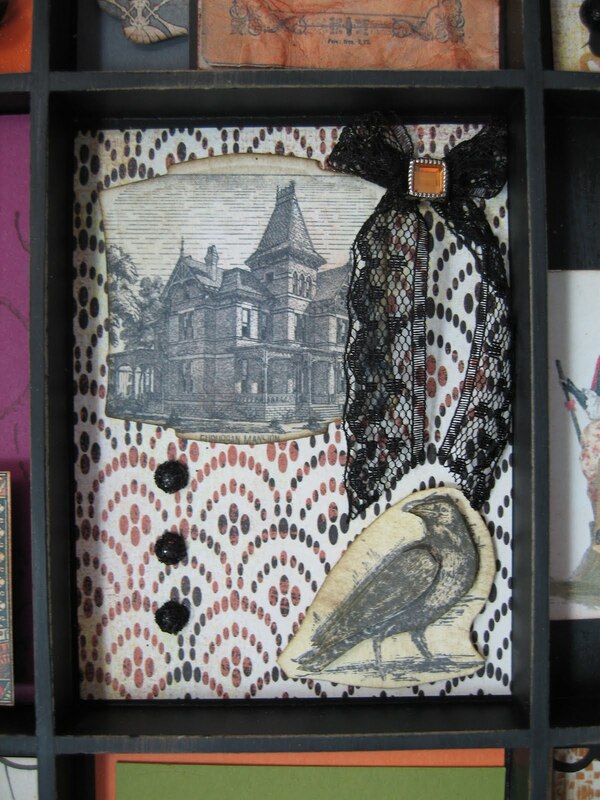 3rd image: The bird is from the Dark & Dreary stamp set. I stamped it three times and popped it up. The mansion is a pen and ink drawing of a mansion. I used a 'fire' rhinestone brad to wrap around the bow of the raven lace trim. I added black sparkle pearls along the left edge.